World Red Cross and Red Crescent Day is an international observance held on May 8 every year. It commemorates the birthday of Henry Dunant, a Swiss businessman and social activist who inspired the creation of the International Committee of the Red Cross, which gave birth to the International Red Cross and Red Crescent Movement. Henry Dunant was born on May 8, 1818 in Geneva. His family was devout Calvinist, and his parents always stressed the importance of social work and helping orphans, parolees, the sick and poor, and other people in need. So the foundation of Dunant’s social activism was laid when he was still a child. In 1859, Henry Durant made a business trip to Italy and witnessed the aftermath of the Battle of Solferino, which was part of the Second Italian War of Independence. He convinced the civilian population to tend to the injured and sick soldiers, purchased needed materials, and helped create makeshift hospitals. Greatly moved by this experience, Durant recorded his impressions in the book A Memory of Solferino. In the book, he developed the idea of a neutral organization aimed at providing care to wounded soldiers. Eventually this idea was supported by many influential people, including lawyer Gustave Moynier, army officer Guillaume Henri Dufour, and surgeons Louis Appia and Théodore Maunoir, all from Switzerland. In 1863, the five man founded the International Committee for Relief to the Wounded, which is now known as the International Committee of the Red Cross (ICRC). A red cross was chosen as the committee’s emblem because it represented the Swiss flag and the country’s long history of neutrality. However, the Ottoman Empire refused to use it, claiming that the cross was a Christian symbol, and adopted the Red Crescent instead. It was formally recognized as the second official symbol in 1929. 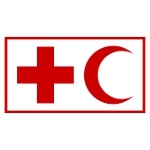 The third official symbol of the International Red Cross and Red Crescent movement, which is not reflected in its name, is the neutral Red Crystal. In addition, Israel uses the Magen David Adom (Red Star of David) on a national level. International Red Cross Day was first celebrated in 1948. In 1984, its official name was changed to World Red Cross and Red Crescent Day to honor both emblems of the movement that existed at the moment. When the Red Crystal was introduced in 2006, it was decided not to rename the observance anymore. World Red Cross and Red Crescent Day celebrates the principles of the International Red Cross and Red Crescent Movement, which comprises the ICRC, the International Federation of Red Cross and Red Crescent Societies, and individual National Red Cross and Red Crescent Societies. The seven fundamental principles of the movement are humanity, impartiality, neutrality, independence, voluntary service, unity, and universality. The ICRC is a three-time Nobel Peace Prize laureate, making it one of the two organizations to have won multiple Prizes (the other is the Office of the UN High Commissioner for Refugees with two wins). It won its first Prize in 1917 for protecting the POWs of World War I, the second in 1944 for the work it had performed during World War II, and the third in 1963 on the occasion of the Committee’s centennial anniversary.